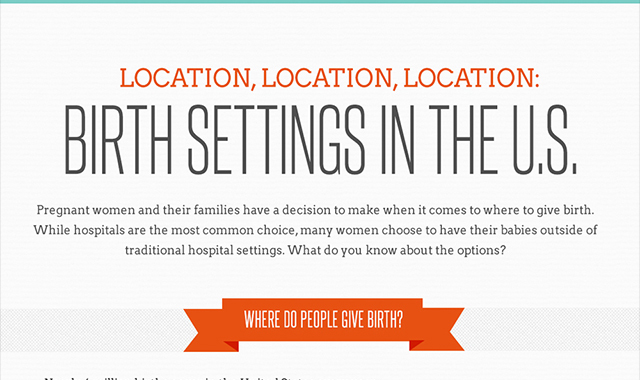 Birth settings in the U.S: options for birth #infographic ~ Visualistan '+g+"
Hospitals, Home Births, Birth Centers, oh my! While hospitals are the most common choice of where to give birth for pregnant women in the U.S., many women choose to have their babies outside of traditional hospital settings. We teamed up with the Institute of Medicine (IOM) to showcase birth settings in the US and visualize options for birth stats and facts.